Researching foreign customary law can be a difficult process, so it is no surprise that many FCIL librarians struggle with how to teach this topic to law students. Nonetheless, in my experience, it is a topic that students enjoy and that most have not previously encountered. I was fortunate enough to experience the customary law research process as a student in the Georgetown University Law Center’s Women’s Human Rights Clinic in 2002, which included a fact-finding mission to Tanzania funded by a USAID grant. My participation in the clinic was a life-changing experience that I was happy to revisit when I entered the law library profession in 2011. However, teaching customary law in a classroom setting, without the opportunity to work with and speak to people who are subject to these laws, presents some challenges. Having now taught this topic at both Louisiana State University, as part of my own FCIL research course, and at the University of Pennsylvania, as a guest lecturer, I offer the following thoughts on how to approach teaching this difficult topic. It is difficult for students to visualize customary law systems. Because most students will not have traveled to countries with customary law systems, and almost certainly will not have done legal work there even if they have visited, it can be difficult for them to visualize the customary law process, or even the people to whom customary law applies. The wide variety of countries and regions practicing customary law, as well as the variability of customary law itself and of those who apply and enforce it, can also make it difficult to imagine and to explain. I believe that it is important not to make customary law sound too “primitive” or to stereotype those to whom it applies. I have found that photos (of courthouses, villages, or local attorneys, for example) can help illustrate the larger context in which customary law is applied. 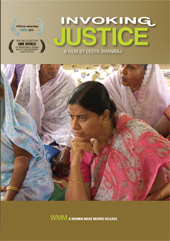 If the course schedule provides enough time, a well-places documentary like Invoking Justice can help students to visualize customary and other unfamiliar legal systems. Some students will struggle to recognize customary law as a legitimate legal system. While the topic of customary law has generally been well-received by my students, I can remember two or three who struggled to accept that customary law is a fully formed type of legal system on par with common law, civil law, and religious law systems. I believe that this stems from either the tendency to view customary law as primitive or outdated, or the objection to customary laws as necessarily discriminatory. Both can be discussed in the classroom while at the same time emphasizing customary law’s depth and complexity as a legal system. While customary laws can indeed be discriminatory, I have found that a thoughtful discussion of how they can be discriminatory and of why specific laws developed the way they did refocuses the students’ attention on the complexity of customary law systems and of the customary law research process. It also helps to point out the history of customary law in Europe and how it affected and grew into the common law and the earliest civil codes. It helps to offer a case study. When I taught customary law at LSU, I had the luxury of giving the topic an entire class session, which allowed for a more in-depth discussion of customary law in practice in addition to an overview of the research process and resources. As background reading, I asked my students to read a law review article, Tamar Erez, Inheritance Law in Tanzania: The Impoverishment of Widows and Daughters, 7 J. Gender & L. 599 (2006), describing the work of my women’s human rights clinic at Georgetown. Articles offering case studies on customary law research are in abundance in databases like HeinOnline. Though I have in the past assigned an article relating directly to my own experience, I did so because I could speak to it with first-hand knowledge. More recent articles, and articles on a variety of different countries and regions, are certainly available. Even without class time to discuss a case study in detail, offering one as background reading can help the students to approach the lecture with the beginning of an understanding of how customary law is practiced in real life. As an alternative, a case study can be offered as suggested reading for any students who find the topic of customary law interesting or who wish to explore it in their final projects or in their writing seminars or clinics. It can help to include a pop culture reference. I like to use the Dothraki in Game of Thrones. While we do not see a tremendous amount of their legal system in the books, and even less in the tv series, we do repeatedly hear reference to rules and laws of Dothraki life, followed by characters stating that “it is known.” A simple meme has been enough to offer a visual for those of my students who have read the books or watched the show. The students will have to use their imaginations. Realistically, most research students will never encounter customary law in their doctrinal classes or in practice. This does not mean that it is not worth teaching. However, some allowance will need to be made for the fact that they are not going to have the experience of interviewing people about how the law is applied on the ground. Nonetheless, I try not to limit my research problems or examples to the narrow topics that they might encounter as practitioners here in the United States, or that they can research in their entirely using secondary sources. Asking them to imagine the questions they would ask or the obstacles that they anticipate in the research process can be as instructive as having them locate concrete sources. Imagine that you are part of a small group of human rights attorneys and are just beginning a project involving intestate succession in Kenya. Your project will focus primarily on the inheritance rights of women and of children deemed to be “illegitimate.” You will eventually be traveling to Kenya on a grant-funded fact-finding mission, but for now, you must gather as much information as possible on the country’s legal system, the laws in force, and the application and enforcement of those laws. Create a research plan that will allow you to begin drafting a report on which to base your fact-finding mission. Which sources will you consult? Which issues do you think will need to be fleshed out through interviews or other research when you arrive in Kenya? If you have time, look at some of the websites that we have discussed and try to find some preliminary information on both the religious and customary laws in Kenya and how they treat questions of inheritance. Identify, if possible, any issues that you think may arise from Kenya’s mixed legal system. This problem allowed the students to explore all of the potential sources that I had covered in class, as well as to imagine real-life factors that might complicate the laws’ application, identify possible research difficulties, and begin brainstorming questions for interviews or for additional research based on what they found during their preliminary searches. When putting together research problems, I often start with the U.S. State Department’s Human Rights Reports, which frequently identify human rights issues arising out of customary law. I then build my problem from there to incorporate other resources, as well as any complicating real-life factors or relevant statutes or international issues, if I am going to include them in the problem. Customary law may be a difficult topic to approach as a research instructor, but I believe that students enjoy it and that it should be included in any class that purports to cover foreign legal research. I have had a surprising number of students choose customary law topics for their final projects in my research courses, always with great success. I hope that this post will build upon recent AALL programming and existing guides on customary law research, and help my colleagues to approach this topic not only as researchers, but as instructors, as well. 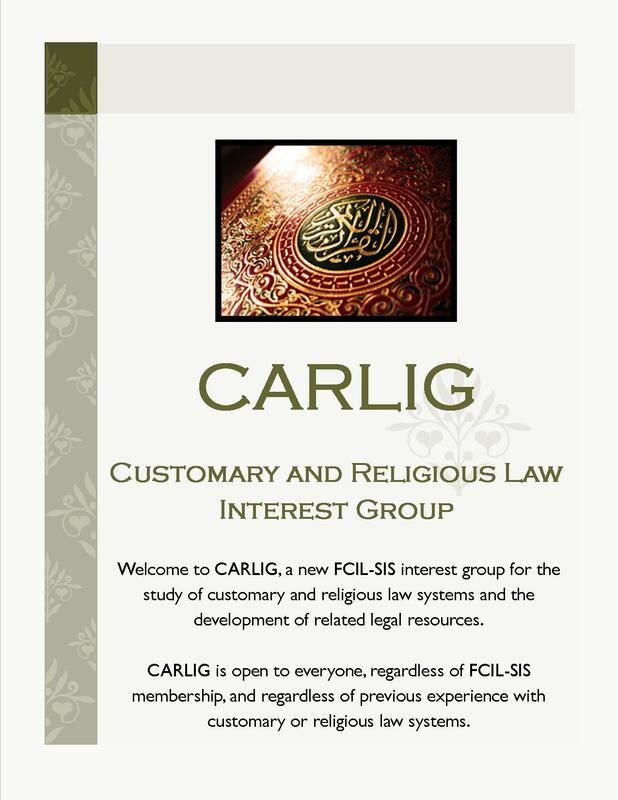 If you are interested in customary law, please join the Customary and Religious Law Interest Group (CARLIG) on My Communities. We look forward to hearing your thoughts and questions!